The Swallow’s Nest is a unique place to stay surrounded by wildlife, hayfields and mountains. It’s on a dead end road in the center of our farm. The Nest has a stone patio, full sized kitchen, living room, bedroom, loft, and large bathroom with laundry. It sleeps four. Brandon itself is charming with music and art galore. It's just been named Vermont's coolest town: and by Expedia as the best town in Vermont to escape to. It’s been named Coolest Town in Vermont too. A photo of our barns was chosen by Vermont Life to grace the cover and month of July on its 2019 Wall Calendar. Come golf, bird watch, visit a local farm, see cheese or maple syrup being made on nearby farms, hike, bike or ski. Don’t want to shop for groceries no problem.... There is a new service in Vermont that will fill the fridge with your favorites. So come enjoy the best of Vermont in the Heart of Vermont. My husband and I bought this farm after watching it be on and off the market and sold twice over 23 years. We are patient. In 2018 I’m teaming up with friend Judy on left in picture above to offer. Cooking lessons,. Sue Wetmore is offering bird watching tours and we are offering special rates for Barn Opera guests. It was once a much larger farm. It is still quite large. It has woodland and part of Segal Hill. It also has miles of Otter creek frontage. 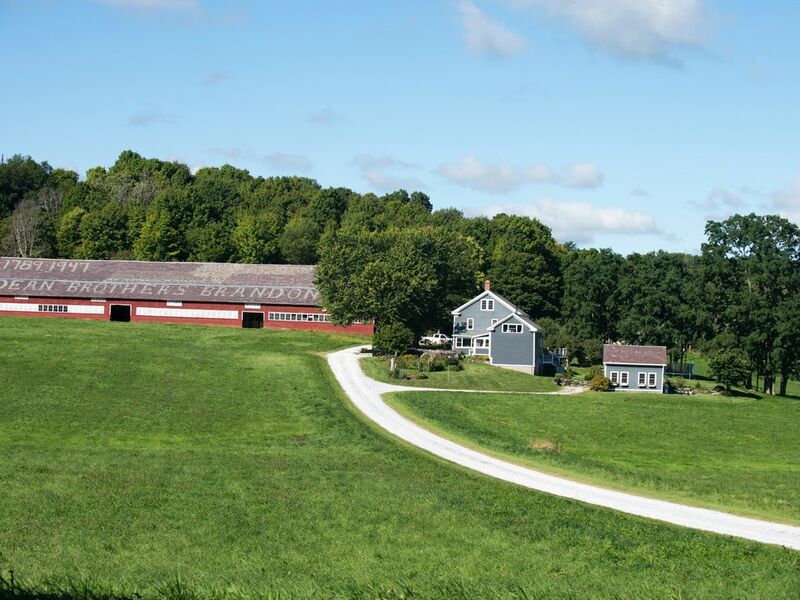 My husband grew up in Rutland county, not far away and we had been visiting the area since 1990, when I first saw the farm. It was love at first sight. We have wetlands, marsh, swamp, uplands, gorgeous rock formations, , forests, and in between, lush hayfields full of birds and other wildlife that thrive in this diverse space between mountains and the river. I enjoyed my stay in Swallows nest very much. The owner is super friendly, knowledgeble and available whenever I had questions or need. The house is very clean and nicely updated. The view is splendid all around - 360 degree! This is the first time for me to be so close to a farm in this country. I loved every thing I saw and experienced in this place. I would certainly recommend this place to every one who is looking for getting-away from noisy and busy life. Sue was equally interested and knowledgeable and really wanted to understand farming as a business, as a passion, and as a calling. She was a joy to show around. We do not charge more for Middlebury College events like Graduation or Parents Weekend. We do require payment in full on booking and there is no refund for Middlebury College graduation or Parents Weekend as we will turn away scores of people once it is booked.